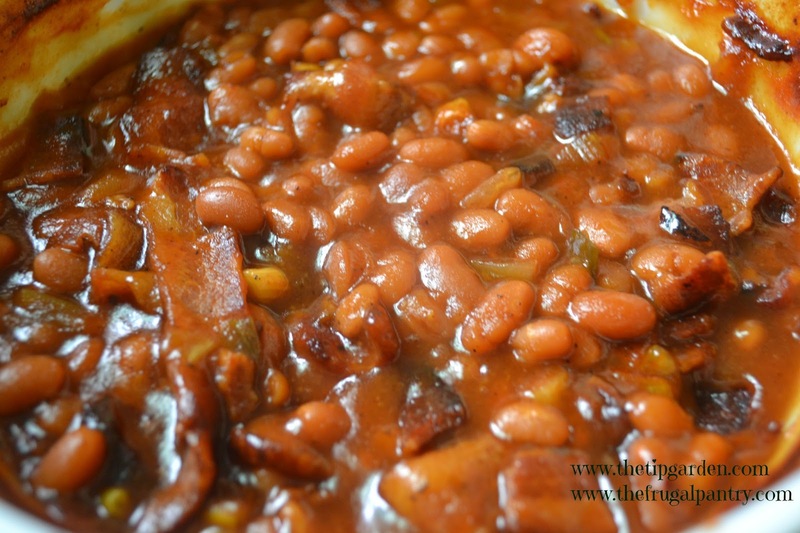 Did you ever really wonder how to turn a lowly can of pork and beans into a heavenly dish that will have your family and friends coming back for seconds and even thirds, and asking for the recipe? This recipe will be the one that becomes your permanent "assignment" guaranteed! I'll talk you through how to dress up those cheap pork and beans and turn them into an easy "slow baked" heavenly side dish. The ingredients are that perfect blend you remember your grandma making. 5-10 minutes of prep work and then let your oven or crock pot do the rest! The secret to that slow baked taste is to bake it for about 2 hours. The slow simmer of these simple ingredients will blend and meld them together and give them that old fashioned taste without all the work! I've tweaked the recipe from: threemanycooks.com. and also added in some crock pot directions. No one will ever know you didn't start from scratch, as it will have all the full flavor and taste of slow cooked old fashioned baked beans. If Oven baking instead of Crock Pot: Pre-heat oven to 325 degrees. In skillet cook bacon. For oven baking the beans cook bacon till about half way cooked and remove from pan. if Crockpot baking the beans then cook bacon all the way through and remove from pan. In the skillet with the bacon drippings over medium heat cook onions and green peppers till tender (about 5 minutes). In large mixing bowl combine beans, onions & peppers along with the barbecue sauce, sugar, vinegar, and mustard. Mix well and pour into large oven proof casserole dish. Place bacon slices over the top of the beans. Bake 2 hours, till sauce is thick and consistency of pancake syrup. Mix well and pour into crock pot. Crumble bacon and sprinkle over the top of the beans. Place lid on crock pot and cook on low for 2-4 hours. You may want to remove lid at the 2 hour mark and continue cooking on low if you want to thicken up the sauce a bit more, to the consistency of pancake syrup. Thank you for co-hosting on What'd You Do This Weekend? I'll be following you along and hope you will do the same. Us Kansas-born folks need to stick to together. I transplanted to Texas 60 years ago. I think my roots are here now.